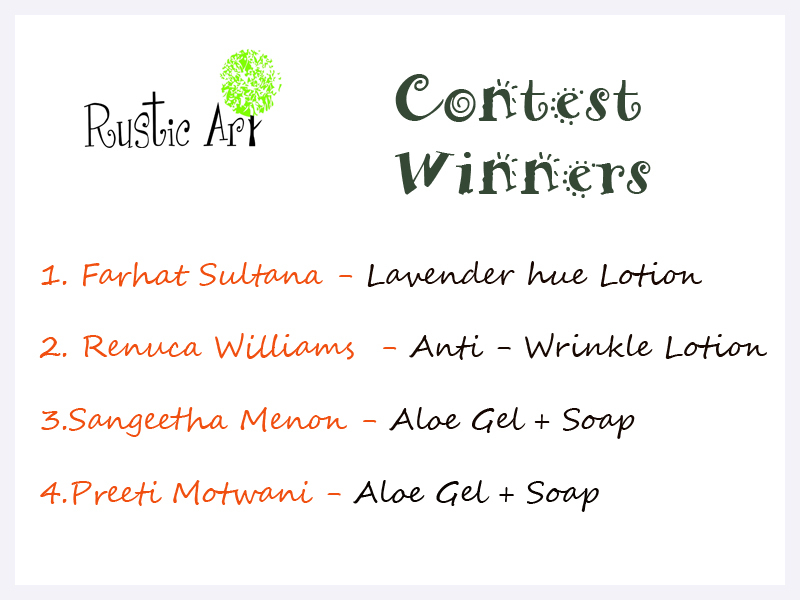 Thanks alot Prats and Rustic Art for this amazing giveaway .. Welcome 🙂 I hope you like the lotion as much as I do! Preferably, apply it at nights. And if you have dry skin, you may need two pumps of the lotion, noram to combination will need just one pump and if you have oily skin, you may need lesser! Hey, where do I send queries?